ClothingScitec T-Shirt Muscle Army Green - 1 szt. 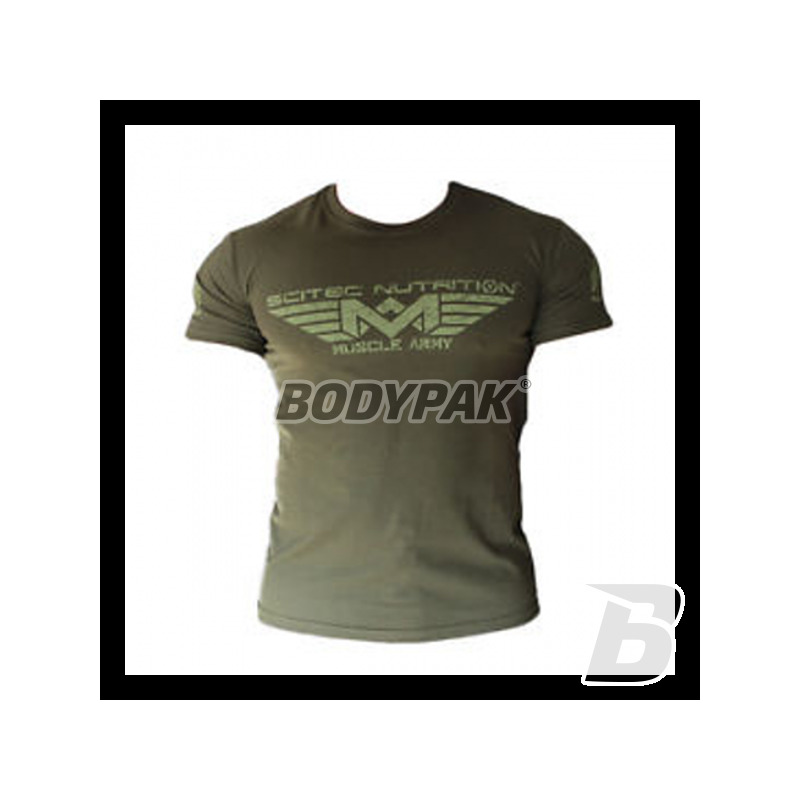 Scitec T-Shirt Muscle Army Green - 1 szt. Neatly made of high quality materials - Shirt addressed to the most demanding people. The manufacturer took care of its durability and tasteful artwork. Stand out from the crowd and emphasize its sportiness! 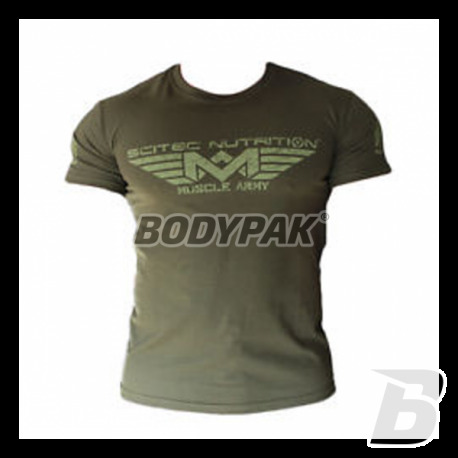 Scitec T-Shirt Army Green Muscle is based on the classic cut, but this is an advantage, thanks to which adapts to each figure highlighting its qualities. Also, it does not restrict movement - also works well during training. Imprints are characterized by high durability. On the front was the manufacturer's logo and graphics depicting inflicted gun tank. Show what you're made of and attitudes to the highest quality! 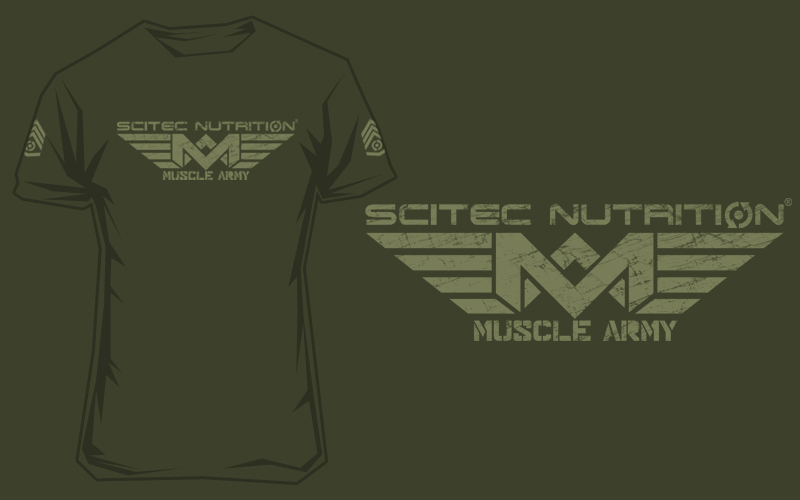 Scitec T-SHIRT MUSCLE ARMY GREEN - quintessence SPORTS STYLE! Original leggings in which you will feel extremely comfortable and comfortable! They are made of flexible and durable material (Lycra, 86% polyester and 14% elastane). Perfectly adheres to the body, emphasizing the qualities of the figure. Bet on the highest quality at a good price!